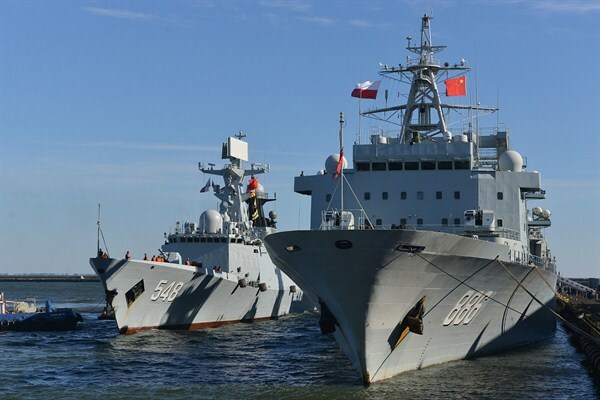 Chinese Navy Yiyang 548 frigate and Qiandaohu 886 supply vessel are moored in the navy port, Gdynia, Poland, Oct. 7, 2015 (AP photo by Andrzej J. Gojke). Last week, Chinese engineers broke ground on what press accounts styled “China’s first overseas naval base” in Djibouti. That is a big deal. Djibouti lies in East Africa along the Bab el-Mandeb Strait, the waterway that connects the western Indian Ocean with the Red Sea. It also adjoins the patrol grounds for the Gulf of Aden counterpiracy mission, in which China’s navy has taken part since 2009. In short, it occupies strategic real estate.